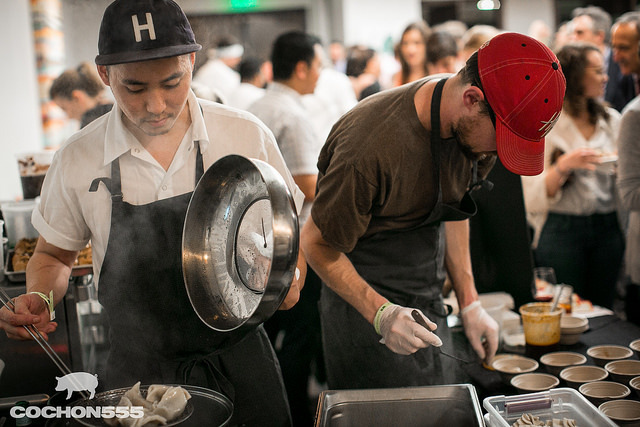 The 2016 Cochon555 event in Houston. 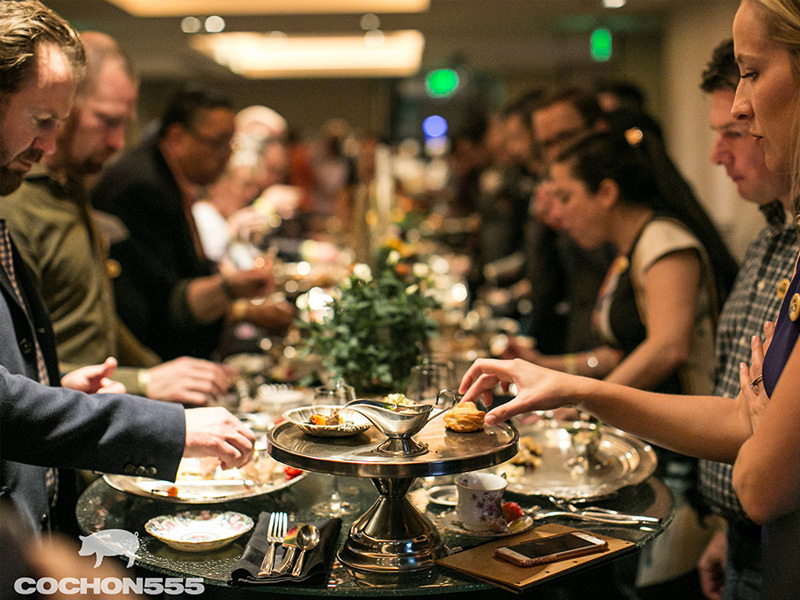 Photo by Galdones Photography/COCHON 555. At the center of Cochon555 is a cook-off featuring 5 chefs cooking 5 whole, heritage breed pigs with innovative techniques and bold flavor profiles. One week before the event, five competing chefs receive a 200-pound heritage breed pig from a local farmer. They are each tasked to create and present a “Judge’s Plate” of 6 dishes scored on categories such as utilization, cooking techniques and overall flavor. The winner from each city is crowned the “Prince or Princess of Porc,” and given a place at our national championship, Grand Cochon, to be held in October 2017.